If you are a part of WCC please read this post. If you are not please read this post anyway. It’s amazing what God is doing. To catch up, read this post first. The reality of the situation is this. 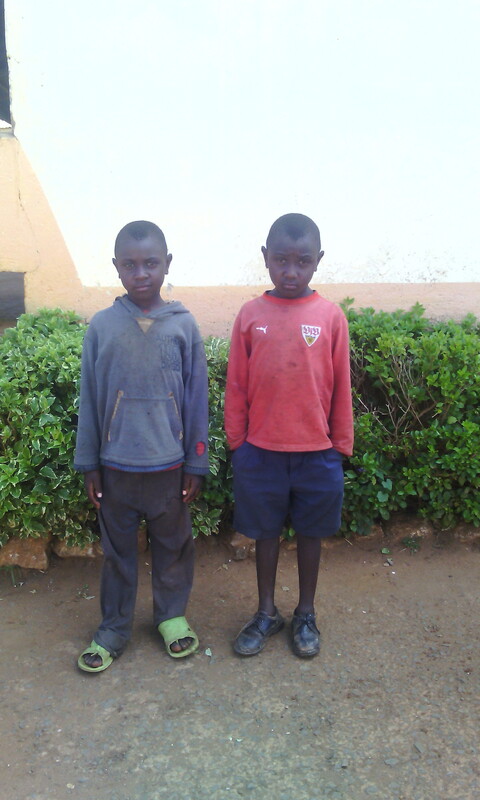 Two-hundred homeless AIDS orphans in Eldoret Kenya have cried out to God for hope and a home. Two-hundred homeless AIDS orphans (and no doubt many more) have cried out to their Heavenly Father for Him to rescue them from the persecution and peril, violence and vulnerability of the slums. He has heard their cry. Almost 7,490 miles away a small church in Williamsburg Virginia was called by God’s Spirit as His answer to their prayers. By the grace of God and through formal affirmation this past Sunday, the people of Williamsburg Christian Church profoundly answered “yes” to God’s call in King Jesus. We will join with God and His work through Christian Relief Fund (CRF) to build the Tarakwa Children’s Home. We will trust God for His provision and raise the $105,000 to house 200 AIDS orphans for generations to come. As a matter of fact, before we even affirmed this effort $1075 had already been received by our Church from people outside of WCC to support this effort! I think God is ready to get started. Hello brother. Well, the good news is that Williamsburg Christian Church has a affirmed that over the next year, from November 2014 – November 2015 we will raise $105,000 to build the orphanage! Praise be to God! I will work with Milton to figure out the details. May countless children have a pillow to rest the heads as their hearts find rest in the Lord Jesus Christ. 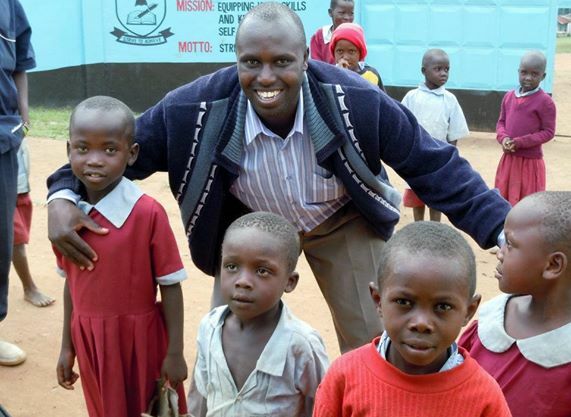 Honored to be on this journey with God and the children of Eldoret. Calvary greetings in the Lord! Wow! Praise God alleluia, we are overwhelmed by excitement because of this news! Thank you Eternally and thanks to Williamsburg Christian Church for the decision to provide housing and a home for these children who have been living in cold, persecuted and passion through challenges of homelessness, the Lord has heard them through you, you will make them laugh, smile and glorify God. Thank you and The entire Williamsburg church. Praise be to God, We are looking forward to the day soon when the children will be singing and praising God having a place they can call home. These children will be surrounded by local CRF workers and local churches. They will be welcomed into beloved community where they will receive food, medical care, and a proper accredited education. Like many other CRF children they will become empowered and grow up in and through their own culture to join God in bringing hope to their own people. The architectural plans and designs for the children’s home have been completed. The land has been secured. As soon as the money is raised the construction will begin. As I have said before, the reign of sin and death has stolen these children’s parents and their dignity. For many it has robbed them of hope and life. But the good news of the reign of grace through King Jesus says it doesn’t have to be that way. As witnesses of this grace and as God’s gracious people, we will join our Heavenly Father–a Father to the fatherless–in making sure these 200 homeless AIDS orphans (and the many that come after) can know the good news that God’s kingdom is breaking in and Jesus is life-giving Lord. Like the apostle Paul, I am persuaded that not even AIDS or violence, hunger or homelessness, poverty or hopelessness, things present or things to come, hostile powers, or any other created thing, not even 7,490 miles of land and ocean, will have the power to separate these children from the love of God in King Jesus. God’s love has no borders. Thanks and praise be to the Lord for His invitation to participate in His work of restoring lives. Thanks and praise be to the Lord that His blood-stained cross and empty tomb boldly proclaims that He is making all things new. Thanks and praise be to the Lord that people like those working with Christian Relief Fund chose to follow Jesus into the far places of our world to proclaim and demonstrate the gospel, and to partner with indigenous disciples to go deeper into the work God had already begun. Thanks and praise be to the Lord that people like Francis and Consolata Bii refuse to give up on the most vulnerable. And thanks and praise be to the Lord for His work in Williamsburg Christian Church and for your faithfulness to take Him seriously so we might play this small role in joining with God as He answers these children’s prayers. Amazing! the much we can imagine and hope is what God has already planned. let God’s plan take its course. God bless Williamsburg christian church and CRF.